A favorite of critics and audiences alike, The Office is a hilarious documentary-style look at the humorous and sometimes poignant foolishness that plagues the 9-to-5 world. For the first time, all nine seasons are together in one complete set - so you can relive every one of your favorite moments, including Michael's (Steve Carell) infamous encounter with a breakfast grill, Dwight's (Rainn Wilson) power plays, Jim's (John Krasinksi) pranks, Andy's (Ed Helms) struggles with anger management, and of course, Pam (Jenna Fischer) and Jim's evolving romance. Also includes special appearances by Amy Adams, Kathy Bates, Rashida Jones, Amy Ryan, James Spader and more. 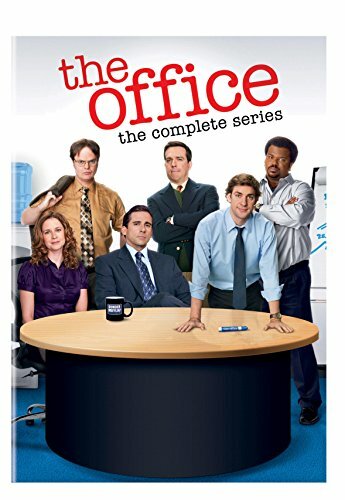 Developed for American television by Primetime Emmy-award winner Greg Daniels, The Office: The Complete Series includes all 201 episodes on 33 discs that you can watch back-to-back and uninterrupted - plus bonus commentaries, webisodes, blooper reels and over 15 hours of deleted scenes that are guaranteed to leave you satisfied and smiling. That's what she said! If you have any questions about this product by WM PRODUCTIONS, contact us by completing and submitting the form below. If you are looking for a specif part number, please include it with your message.